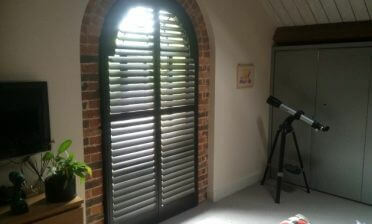 We were in East Grinstead, Sussex to install some shutters to the windows and door areas of this bedroom. 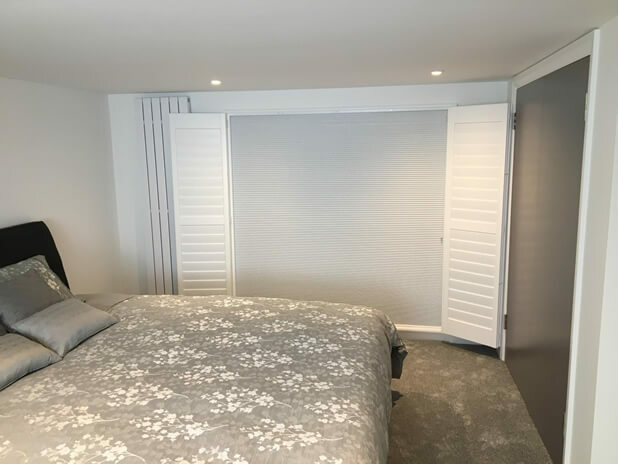 The bedroom featured a modern décor and the client felt that our shutters would be a great finishing touch which would also act as a practical solution for light and privacy into the room. 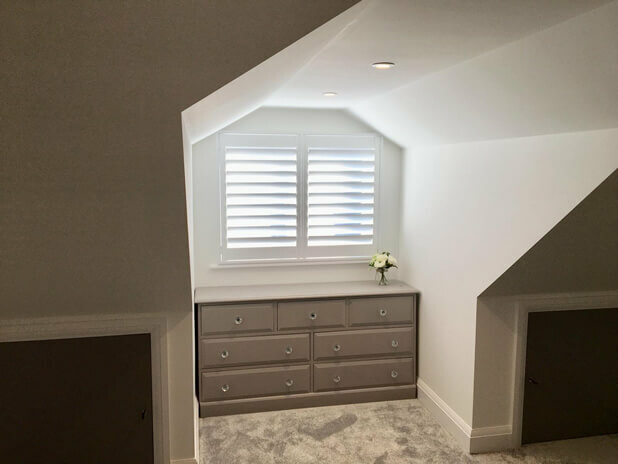 Shutters were installed each side of the room, with a small window at one end above a chest of drawers/dresser, and full height doors on the other end. Both openings required the same style and finish of shutters even if the sizing is different. With the doors we created shutters with a mid rail section to break up the shutters and also add strength. It allows for the louvres to be adjusted at 2 different levels depending on the need for light and privacy. 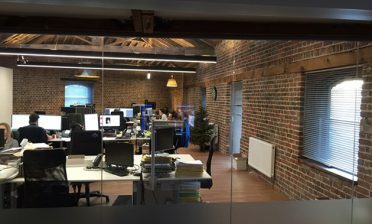 The window features the same style of shutters but without a mid rail, as the height of the shutters is about half the size of the door shutters, so work very well together. All shutters are made using our Fiji Range of hardwood and finished in a pure white with matching hinges. 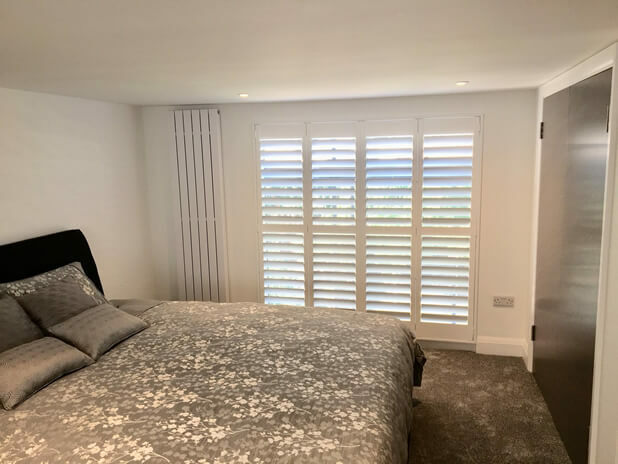 We used thick 89mm louvres throughout with a hidden tilt rod system to create the modern look to match the room we were working in. 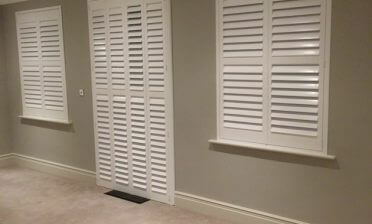 As you can see the shutters have helped transform the room in both looks and practicality, leaving a very happy client!